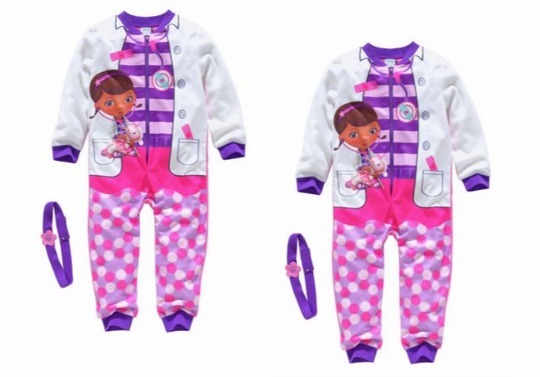 This Doc McStuffins Fleece Onesie with Headband is a bit of a bargain at Argos right now, as it's half price down from £9.99 to just £4.99! It's a fleecy all-in-one to keep kids warm and comfy that can double as a dressing up outfit as it looks just like Doc McStuffin's doctor's outfit! It comes in sizes between 2 and 5 years and all are the same price of £4.99. The link above takes you to the smallest size, the 2 - 3 years one, but you can change that by using the drop down box to select the correct size. Each one has a different item number at Argos so you will get redirected to the right page.